See below for a frequently-updated, comprehensive list of upcoming running events in the local Centreville, VA area. Races listed here include both walking and running events of various distances — from 1-milers, to 5Ks, to marathons, and everything else in between. 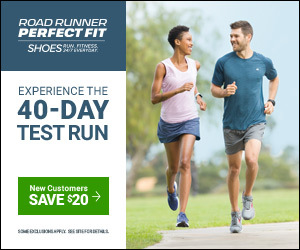 Complete list of running events in and near Centreville, VA: Marathons, 1-milers, 5Ks, half-marathons, 10Ks, obstacle courses, walking events & more. Runner's World Magazine Save up to 70% OFF the cover price! Triathlete Magazine Save up to 64% off the cover price! Women's Running Magazine Save up to 69% off the cover price! The ZIP Code 20120 is associated with the city of Centreville in Fairfax County in the state of Virginia. Subscribe to get the latest on racing delivered to your inbox, once per week. Historically, more marathons are run in the month of October than any other month (in the U.S.). Running Races in the U.S.
Local running races and events in or near your community. Find upcoming marathons, 5Ks, 1-milers, half-marathons, walks, and more. Compare events and register online.